The handle and clasps work very well. I like it ,as this is the second Gator keyboard case I have bought and reviewed . I would recommend anyone to invest in the gator range of keyboard cases. Bought to protect my Kronos x 73, which fits perfectly into the case. Having had this case for a year (and owning several other Gator cases) I will definitely recommend it. HOWEVER there is two points that could be improved upon. 2) The wheels. The wheels are good but they are very small and even getting over bumps can be problematic. If gator could make the wheels bigger (along the lines of the drum hardware cases). 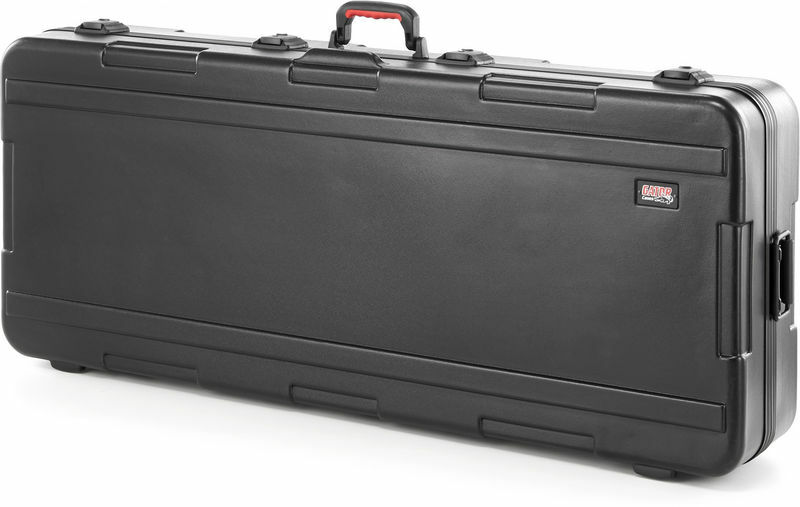 Overall - It is a very sturdy case that will protect any gear thats inside. The case is quite bulky and can be highly annoying when moving. ID: 247300 © 1996–2019 Thomann GmbH Thomann loves you, because you rock!